Back when I used to drive to Olean every day I’d stop at the McDonald’s for coffee and a “rest” break. Most mornings there was a bunch of cars guys sitting around chatting, and when the weather was good enough they’d bring their rides along. 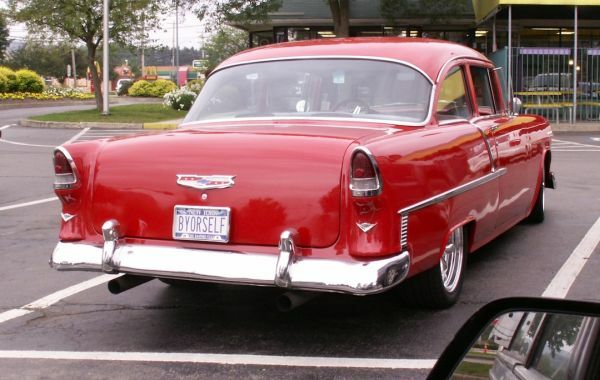 Took me a while to figure out that the license plate on this 1955 Chevy Two-Ten wasn’t buy ourself, but was actually be yourself. Doh! Jim Corbran, RRofWNY …and check out our Facebook page: Non-American Classic Cars The post RealRides Of WNY appeared first on Buffalo Cars.